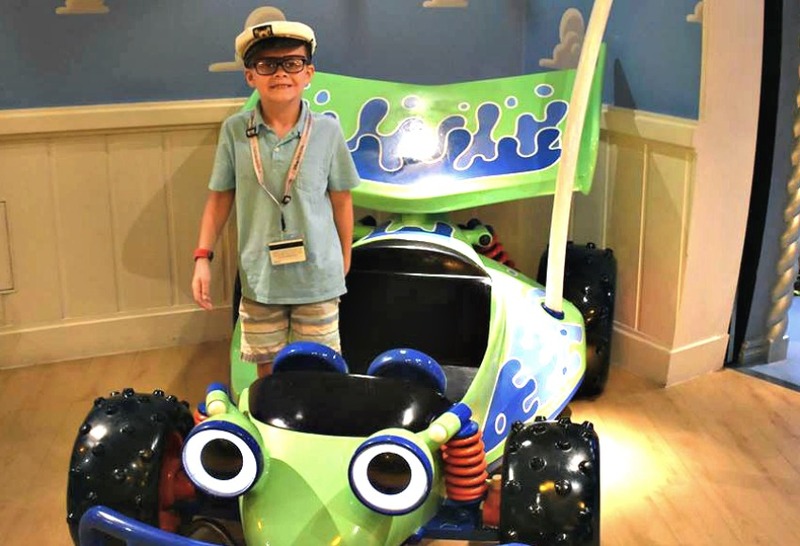 Planning a visit to Walt Disney World this summer? 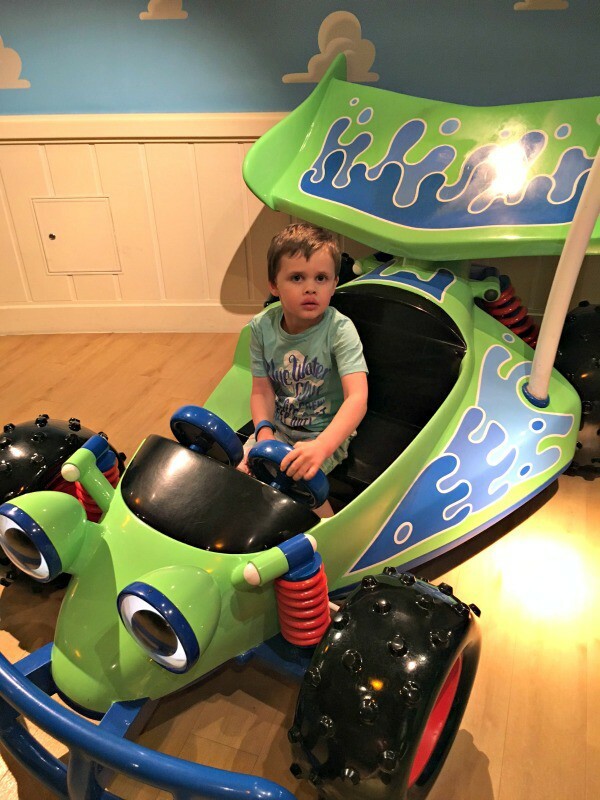 With the opening of the highly anticipated Toy Story Land coming to Disney’s Hollywood Studios on June 30, 2018, here are my Toy Story Land touring tips to keep your vacation magical and make the most of your first visit to Andy’s back yard. This post contains affiliate links, which means I may make money on purchases made. If you thought last year’s Pandora – The World of Avatar opening was big, wait until you see Toy Story Land. Y’all, it’s going to be huge. Enormous. All you have to do is look at the success of the first three Toy Story movies and the chatter surrounding Toy Story 4 (2019) to know this opening is going to be beyond epic. We are talking an entire generation raised by Woody, Buzz and Mr. Potato head and their nostalgic parents chomping at the bit to play in Andy’s back yard. To opening day, and beyond! My family already has a trip planned for summer and we had hoped Toy Story Land would be open during our visit. As luck would have it, our arrival day is none other than June 30th! On the one hand I am completely thrilled to be there for opening week. On the other hand, it adds an entirely new level of planning challenges. To which I say, I accept. I’m preparing myself mentally and practically for some massive crowds and I can’t wait to be a part of the fun. Crowds can be stressful, but with a good attitude and a solid plan, the magical memories always win out. If you have a trip planned or are hoping to visit Walt Disney World in 2018, this post is for you. I’m spilling my secrets for navigating heavy crowds at Walt Disney World and having a great time in the process. OK y’all. I’m giving you a peek inside my Disney planning brain. I’m told it can be a scary place. But I always say get overwhelmed now and play later when it comes to planning a Walt Disney World vacation. Even for those of us who have the privilege of visiting often, a good plan is a Disney mom’s best friend. The reason I recommend a borderline crazy amount of planning is because the last place I want to be is in the middle of a park with thousands of my closest friends and family trying to make a decision. This is not a winning strategy. I like making decisions with a cup of coffee while sitting at my kitchen table. Then when we’re in the parks, we go on auto-pilot and follow the bouncing ball. In short, it works! 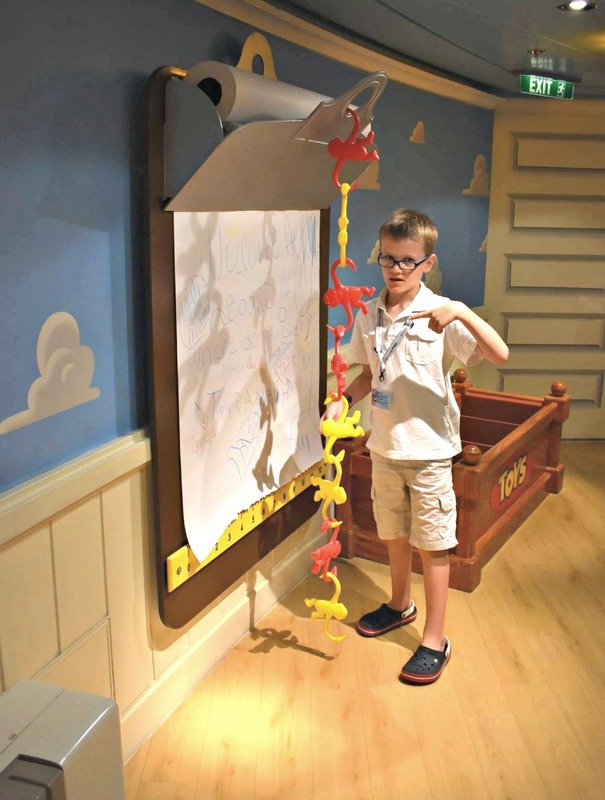 My Toy Story Land touring tips can be used anywhere around Disney Parks to make your vacation a breeze, but I consider them vital when visiting during a busy season. This is one trip where you just don’t want to wing it. Trust me! It’s an exciting time but it’s also smart to be realistic. If you want to fully experience Toy Story Land this year, you need to be prepared to commit the better part of your day to make it happen. Slow down. Be ready for long periods of waiting and embrace the craziness of the whole process. Oh, and have fun! My number one tip is to make sure you know the park hours, including any Extra Magic Hours. Park hours can vary from day to day and the last thing you want to do is arrive an hour after everyone else. For Guests who stay in select hotels, Extra Magic Hours are when the park opens early or stays open late for only those guests. This means locals and those not staying in a Disney Resort Hotel or other approved location won’t be allowed in the park at that time. If you are staying on Disney property, morning Extra Magic Hours will be your best friend. And let me tell you, this year they are EARLY. Some days are already scheduled to open at 7am. So set your alarms, grab your coffee and get to Disney’s Hollywood Studios between 6-6:30am for the lowest waits of the day. Even then, you may be waiting for an hour or more so be sure to keep reading. 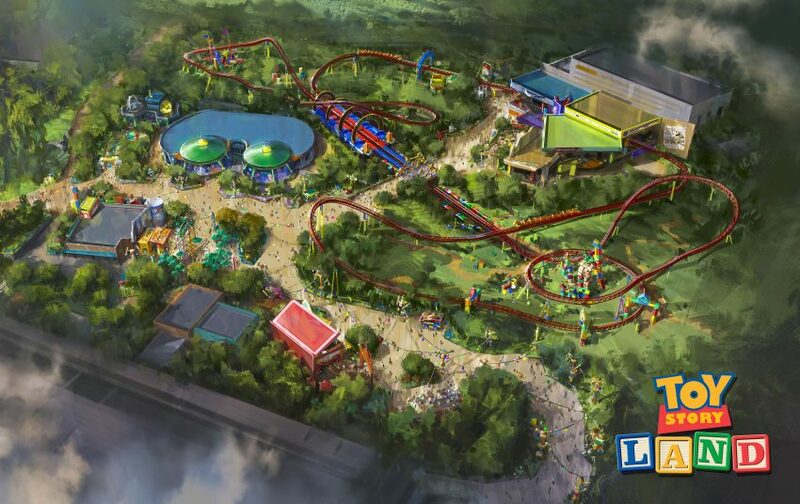 Toy Story Land will still be busy, but this time is going to be when you have the lowest crowd level. TL;DR Know the park hours. Arrive at Disney’s Hollywood Studios 30-60 minutes before they open and walk straight to Toy Story Land as soon as they let you. Making your FastPass+ selections ahead of time for Toy Story Land is going to be tricky for a while. It’s as simple as supply and demand. If you are staying in a Disney Resort Hotel, you should be able to make your FastPass+ reservations 60 days prior to your arrival date. At this time, you may also book for the length of your stay. I recommend starting with the last day of your trip first and working backwards to get the hard-to-book attractions. This would include anything in Toy Story Land, Pandora – The World of Avatar and Frozen. We don’t know exactly when FastPass+ planning will open for Toy Story Land so that may be something to watch if not yet available when you are 60 days out. Don’t wait on the rest of your plans though. You can always change things around later! My favorite tip for planning FastPass+ is to make your selections for the afternoon as mornings are historically less crowded. My family is full of early risers so getting to the parks for that first hour or two is our golden ticket to a great day. We enjoy the morning in the park, have lunch and use our FastPass+ selections in the afternoon to cut down on waiting and stay out of the sun during the hottest part of the day. Don’t take this tip lightly. I’m talking pretzels, granola bars, gummies, water, apps, back-up phone chargers. All of it! A fun time in line is possible when you plan ahead. 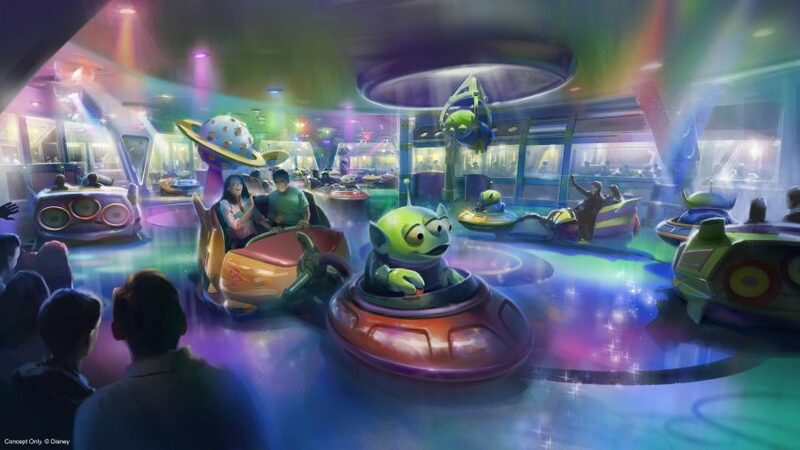 If history is any indication, I have no doubt that the queues for Slinky Dog Dash and Alien Swirling Saucers will be quite entertaining, but I anticipate hours of waiting in the first year (compared to minutes) so be prepared. You can get started with this fun website to play games with your favorites like Slinky, Buzz and the gang. Searching for hidden Mickeys is always fun. A trivia app or three would also pass the time quite nicely. And remember, you won’t be able to take your stroller in the queue so bring whatever you need in a small bag or backpack. Can you tell food is important to me? Being hangry in a theme park is no one’s idea of a good time. Walt Disney World gave us a precious gift with the recent addition of mobile ordering in Walt Disney World parks. If you don’t know what that is, it’s pretty much what it sounds like. You can choose from a select list of quick-service restaurants in the parks using the My Disney Experience app, place your order and pay with your credit card or dining plan. Then you will receive a notification from the app when your food is ready. Walk up to the pick-up line for mobile orders to get your food and you’re done! Let me tell you, sitting at a table deciding what to eat is SO much better than trying to shout everyone’s order in a busy line. And at least for now, the pick-up lines are much shorter! It’s a total win. At this time, we don’t know if the Toy Story Land quick-service restaurant, Woody’s Lunch Box will have mobile ordering so keep checking back on that one if you want to make use of this tool at that restaurant. My guess is they will at some point. There are quite a few other options in Disney’s Hollywood Studios that are up and running. If there is anyone in your party who won’t partake in the new attractions at Toy Story Land, make sure to inquire about Rider Switch. This is a fantastic offering for families who need to split up but don’t want to wait in line twice. Basically, the first half of your party goes through the line, rides the attraction and leaves. Then the second party can return with a Rider Switch pass and skip the waiting (usually using the FastPass+ line). NOTE: Sometimes brand new attractions don’t have this set up right away so make sure you ask the first cast member you see before entering the queue. I’m so excited for Toy Story Land I can hardly stand it. I already know my feelings are going to overtake me the moment I step into Andy’s back yard. Oscar’s entire preschool years were spent watching and playing Toy Story and while those memories are fading for him, they warm my heart every time I see a photo or remember how I had to give him tortillas so he could use his Mr. 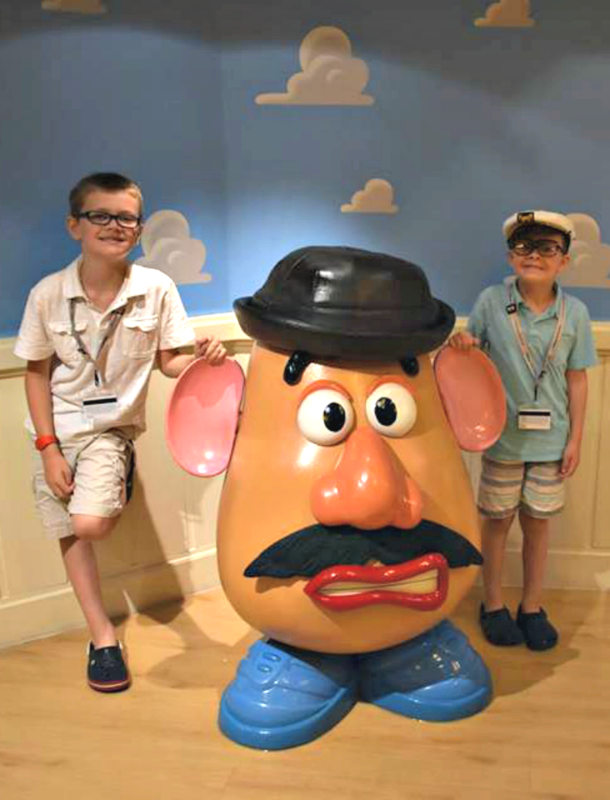 Potato Head pieces to recreate a scene from Toy Story 3, or when Calvin played in Andy’s room for 3 days straight on our first Disney Cruise. At the end of the day and after all of this planning, it’s about family. That’s why we keep going back and that’s why we get so excited for new experiences. That’s the magic of Disney! When will the ribbon cutting be, 7a, since the park opens then?